B&W postcard,13.8 x 9.8 cm. Signed in plate. Photograph by Aimé Dupont. 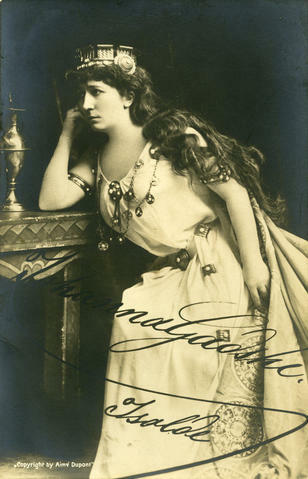 Johanna Gadski as Isolde.